The next year’s fiscal plan includes a pledge to forgive loans First Nations have taken out to fund treaty negotiations. Loans that have been repaid to the government will also be reimbursed, amounting to $1.4 billion over the next seven years that will go back to Indigenous communities that that have invested in some stage of the modern treaty process. “Forgiving and reimbursing loans will allow more than 200 Indigenous communities to reinvest in their priorities like governance, infrastructure and economic development that will increase health and well-being for all community members,” stated the Government of Canada’s Budget 2019, which was released March 19. In British Columbia, 65 First Nations have invested at least half a billion dollars in payments or outstanding loans to fund treaty negotiations since 1993, said Celeste Haldane, chief commissioner of the BC Treaty Commission. Ottawa’s announcement to forgive treaty loans will allow these nations to better empower themselves for future endeavours. As part of the Maa-nulth Final Agreement, five of the seven First Nations in B.C. that have implemented modern treaties are Nuu-chah-nulth. This put the Huu-ay-aht, Ka:'yu:'k't'h'/Che:k'tles7et'h', Yuułuʔiłʔatḥ, Uchucklesaht and Toquaht Nations on the hook for over $19 million in treaty loans. 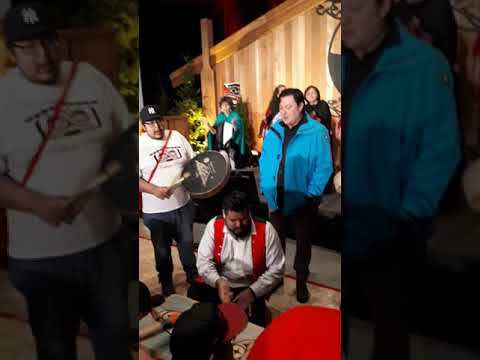 An agreement signed by chiefs representing the five nations as well as federal and provincial ministers details a 10-year loan repayment plan, running from April 1, 2011 when Maa-nulth was implemented to 2020. The document lists annual repayments of $546,224 for Huu-ay-aht, $446,371 for Ka:'yu:k't'h'/Che:k'tles7et'h', $510,175 for Yuułuʔiłʔatḥ, $216,726 for Uchucklesaht and $173,534 for the Toquaht Nation. It became clear that First Nations would no longer be burdened with such repayments in 2018 when the federal budget announced that its contribution funding would replace loans to fund claims settlements, but the decision to reimburse past repayments didn’t come until this year. The loan forgiveness also applies to several other Nuu-chah-nulth nations that have invested in treaty negotiations, including Ditidaht, Pacheedaht, Hupacasath and Tla-o-qui-aht. The BC Treaty Commission lists these four nations at Stage 4 of the negotiating process, which entails working on an Agreement in Principle. In November 2012 Tla-o-qui-aht members rejected an AIP with a vote of 113-154, marking the second time such a proposal has failed to gain the approval of the First Nation since it began treaty negotiations in 1993.